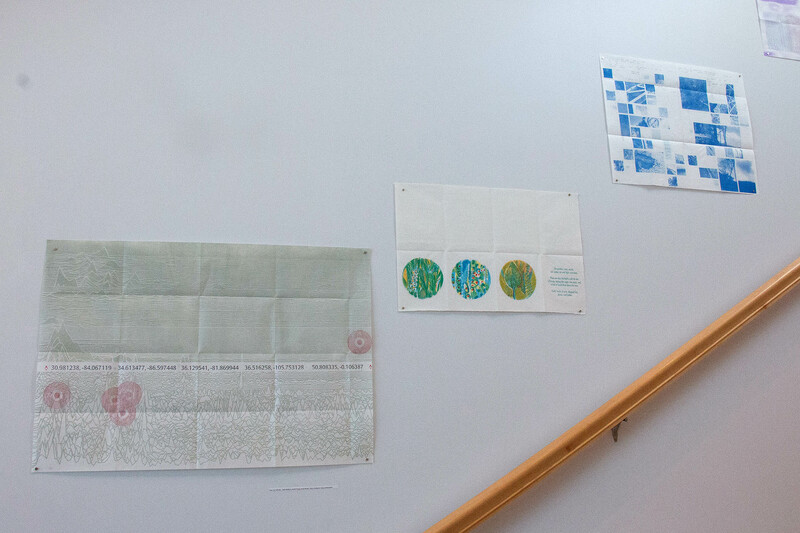 Posted on Friday, November 18th, 2016 at 11:06 am. 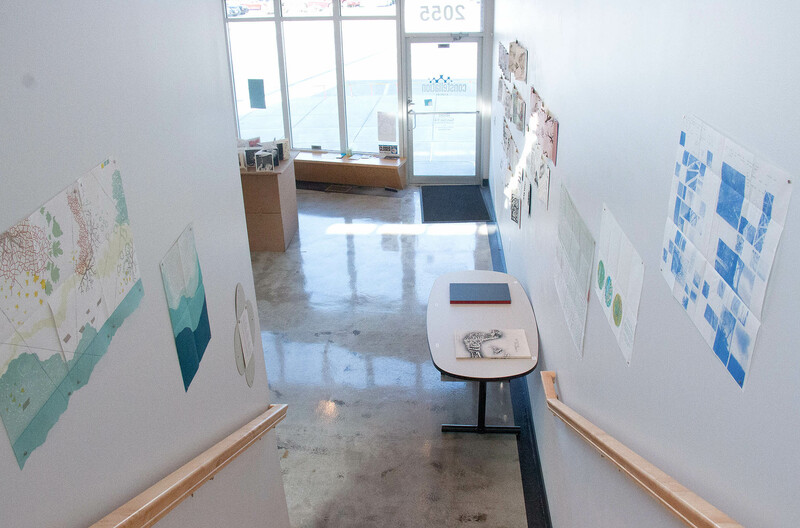 A virtual walk through of the gallery! 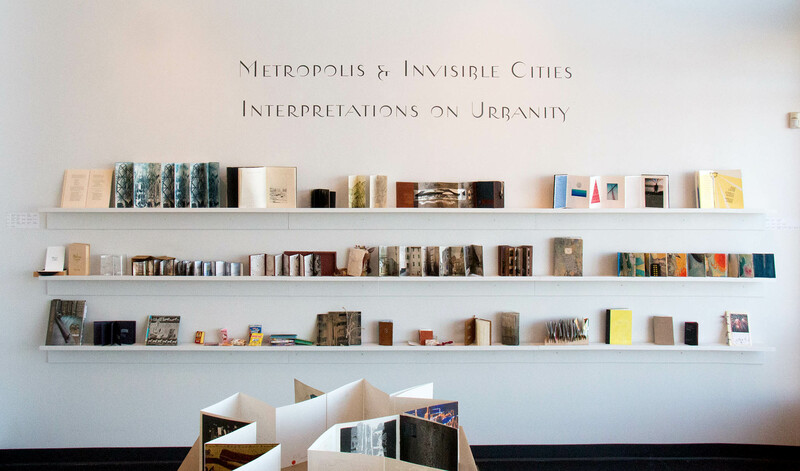 Metropolis includes 303 international artists and originated in Europe and was assembled in Venice Italy in 2014. 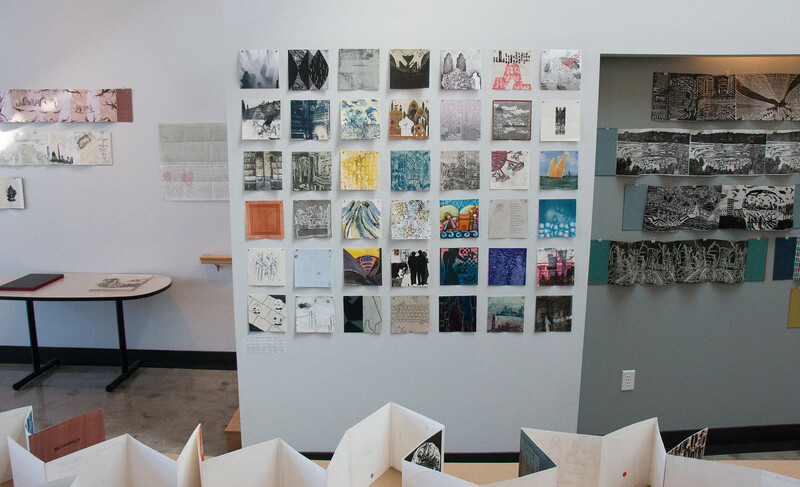 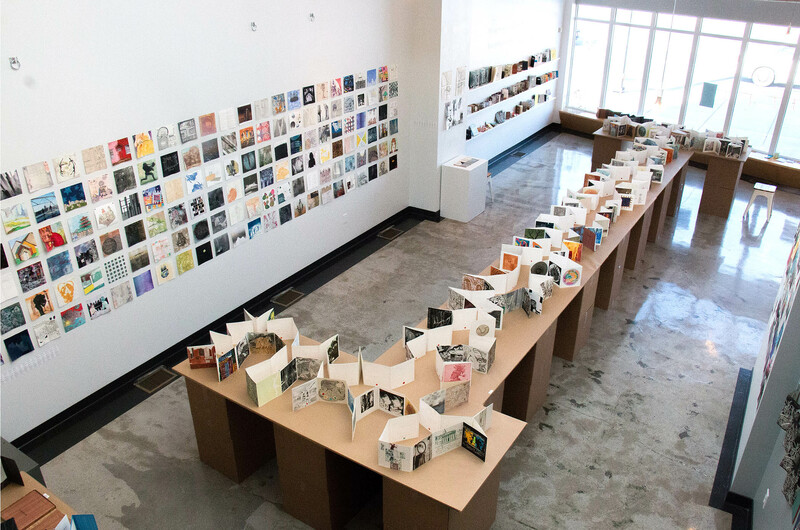 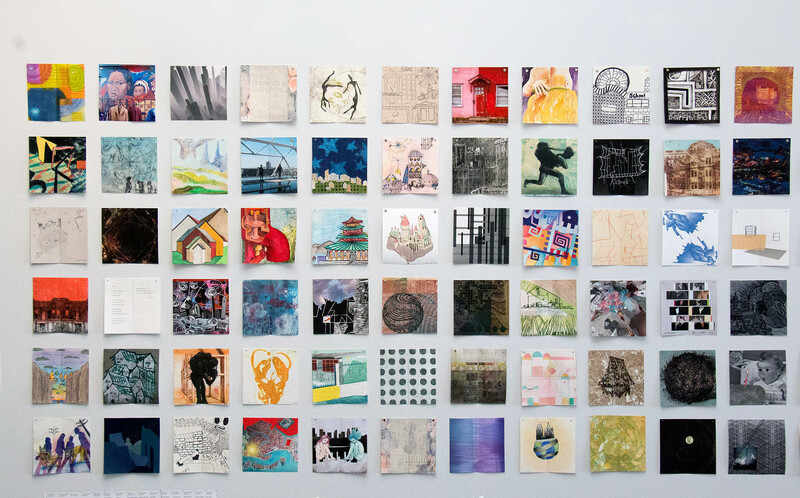 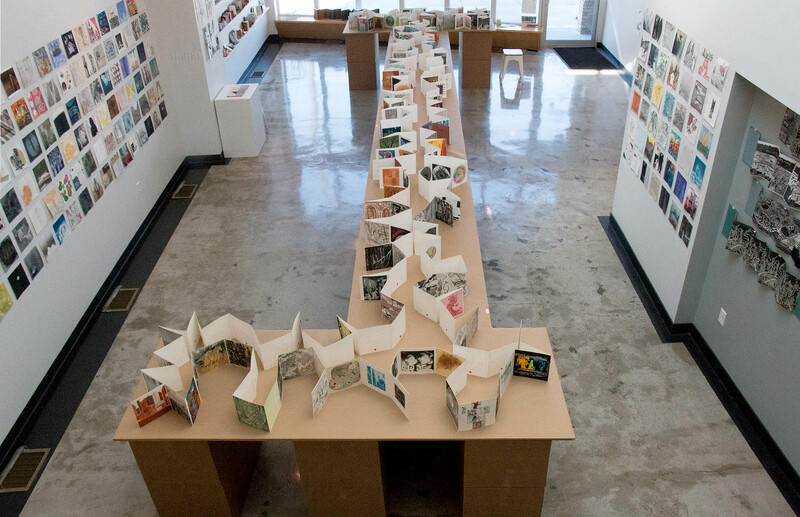 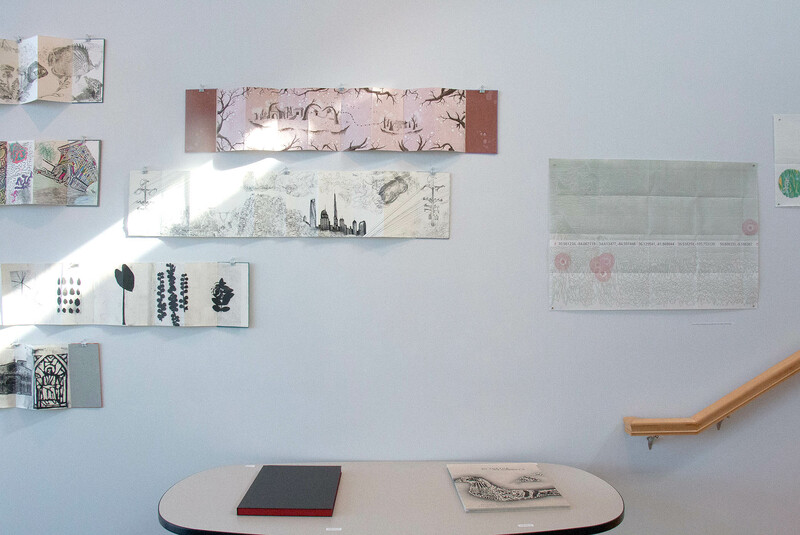 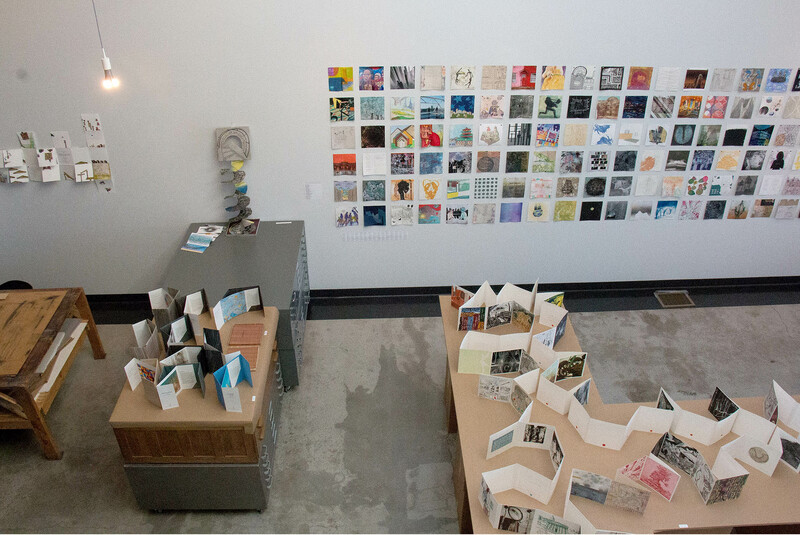 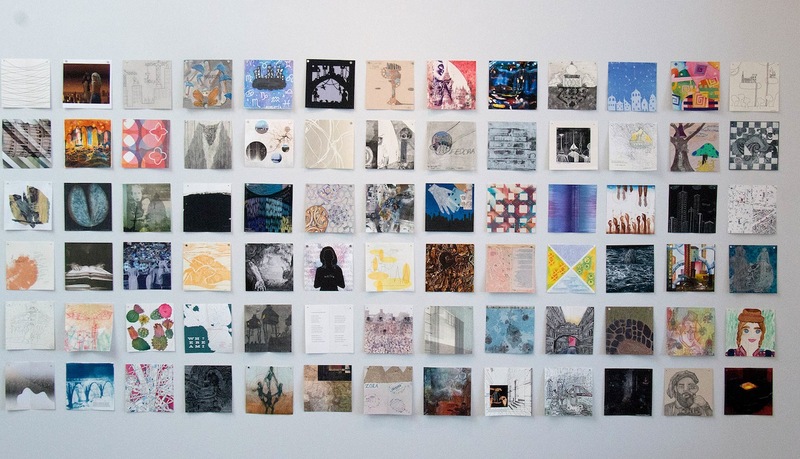 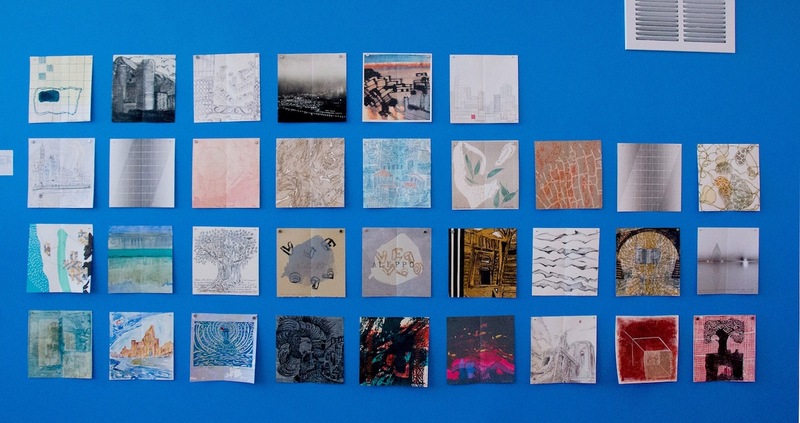 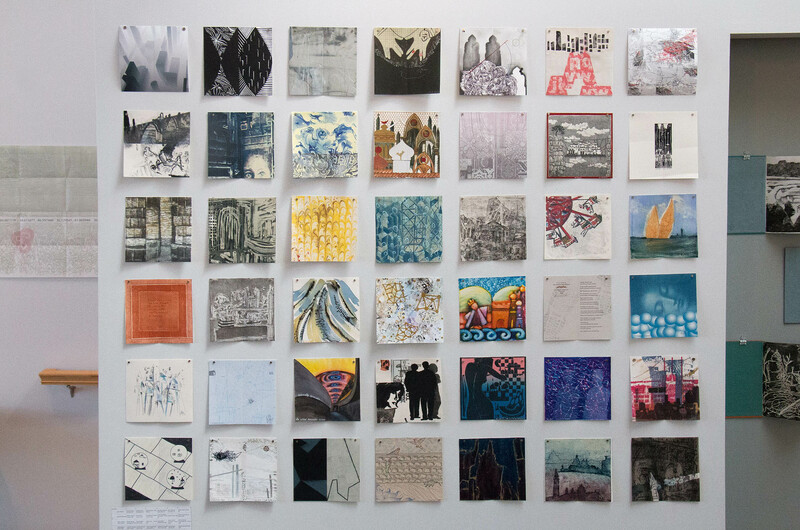 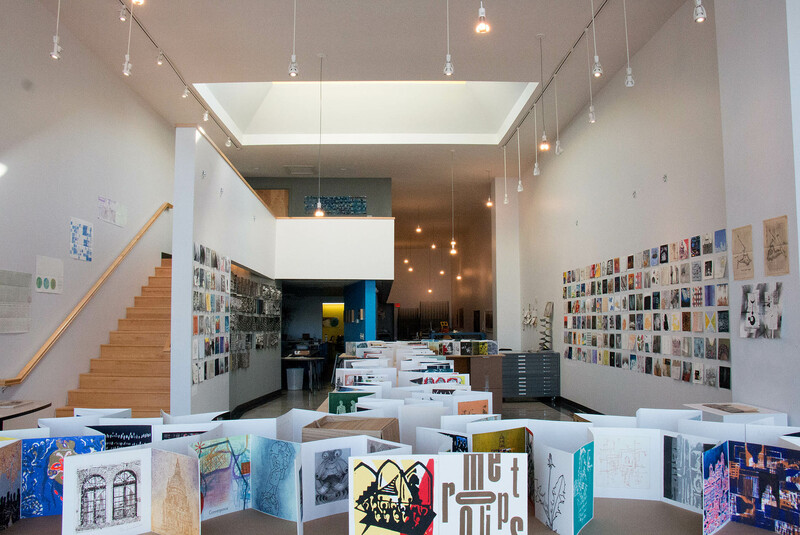 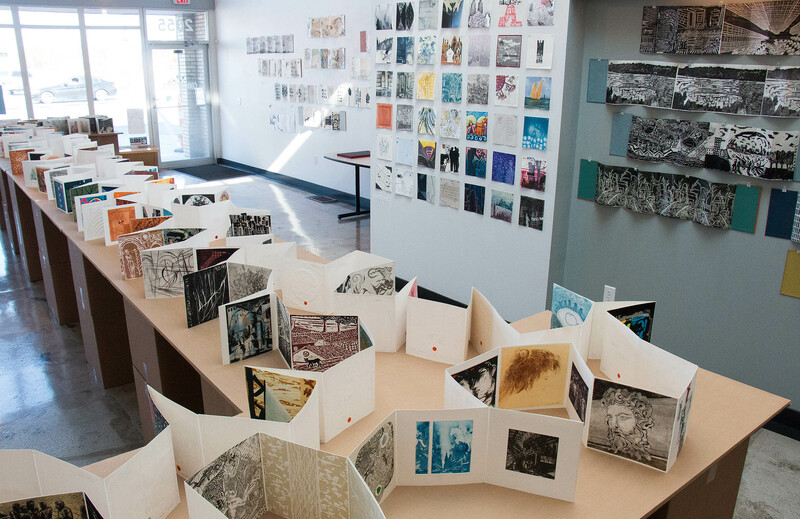 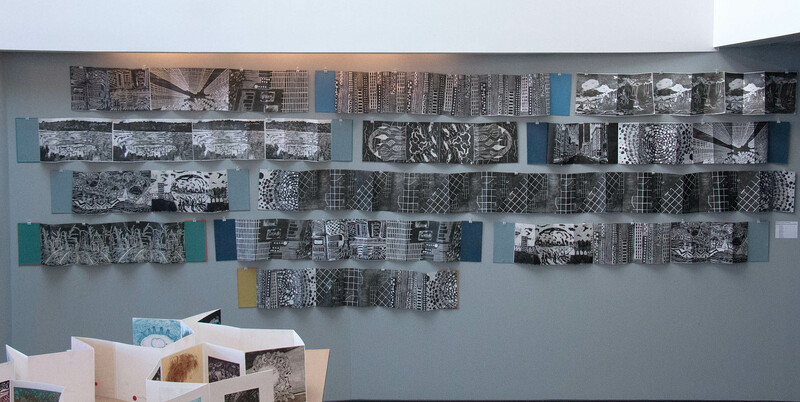 Invisible Cities will be bound in 2016, and all the 228 folio pages are shown on the walls. 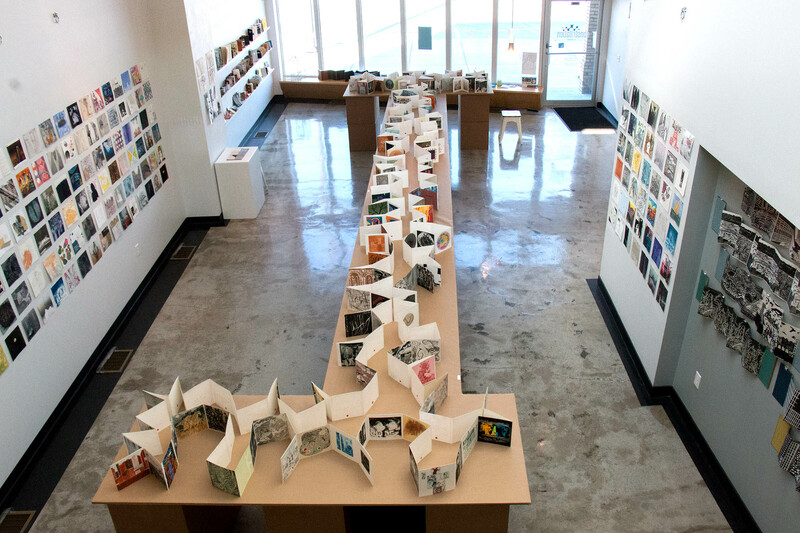 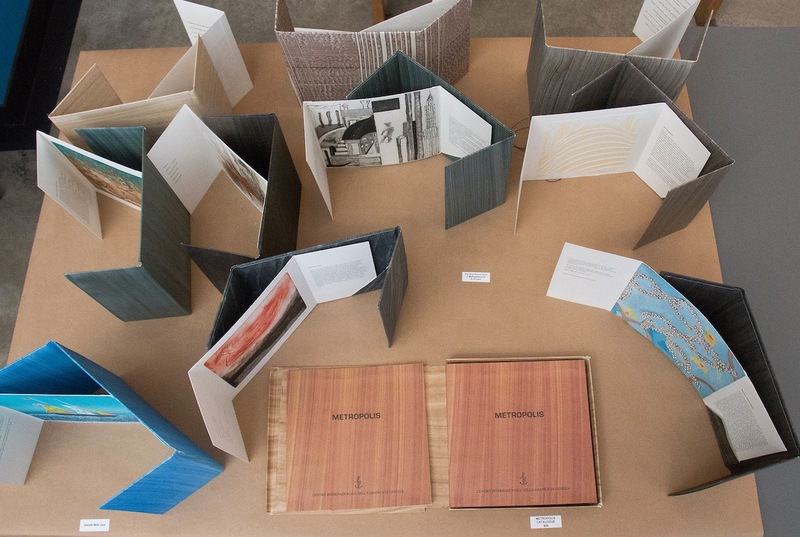 This new accordion folded book has contributions from across the USA, and from Chile, Italy, Poland, France, Argentina, Egypt, Canada, Switzerland, Japan, India, Finland, New Zealand, Columbia, Guatemala. 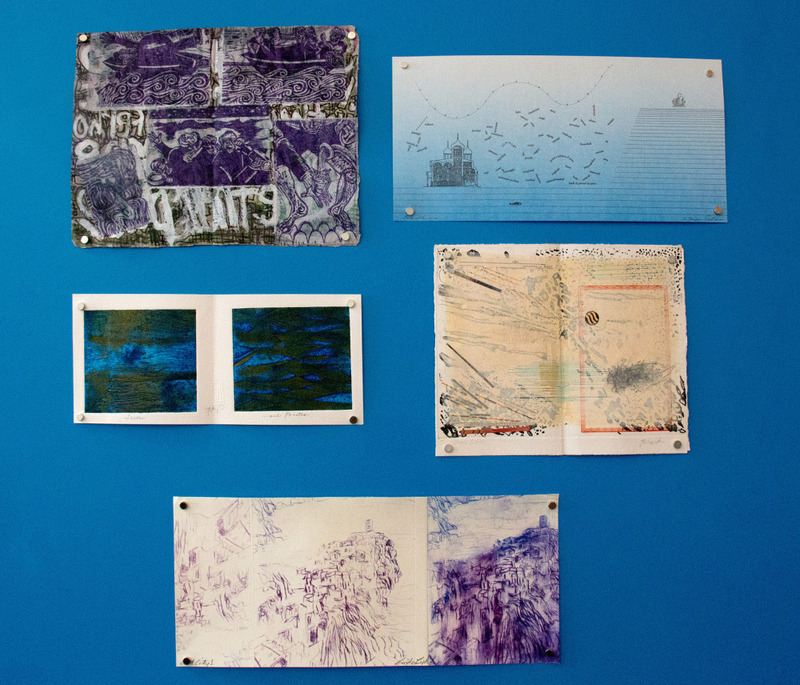 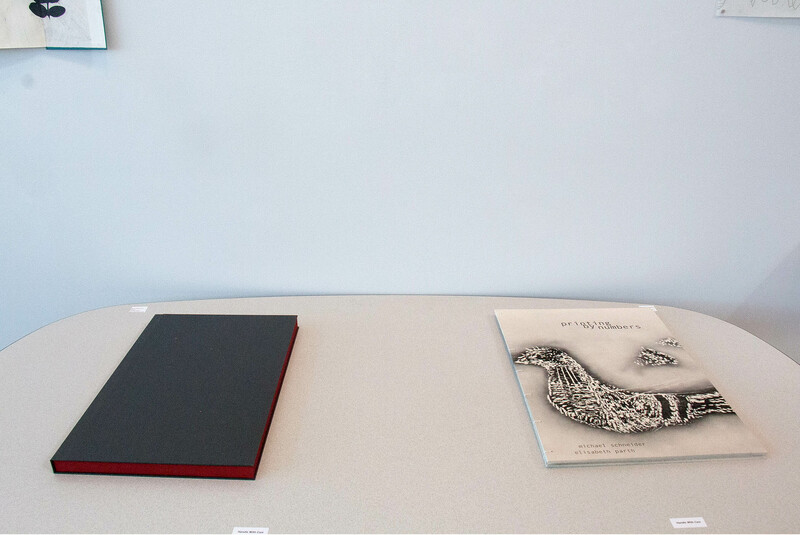 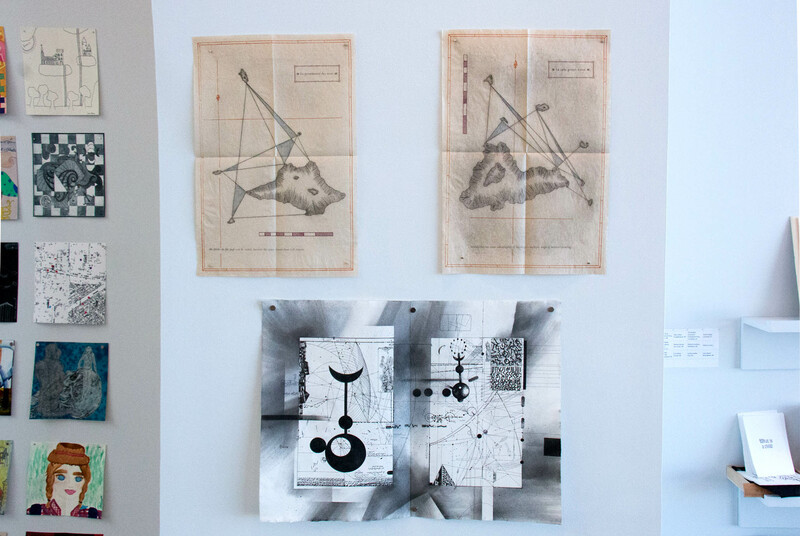 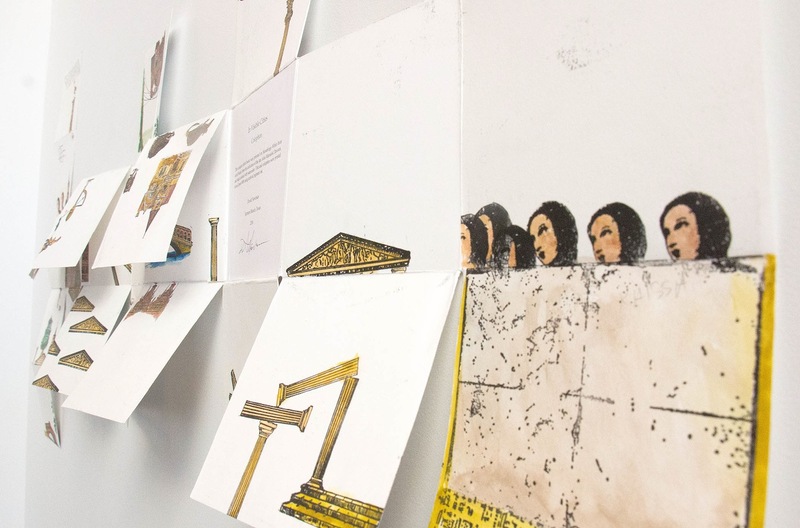 The artists book are made in response to the evocative theme of Invisible Cities and join to enrich the installation.